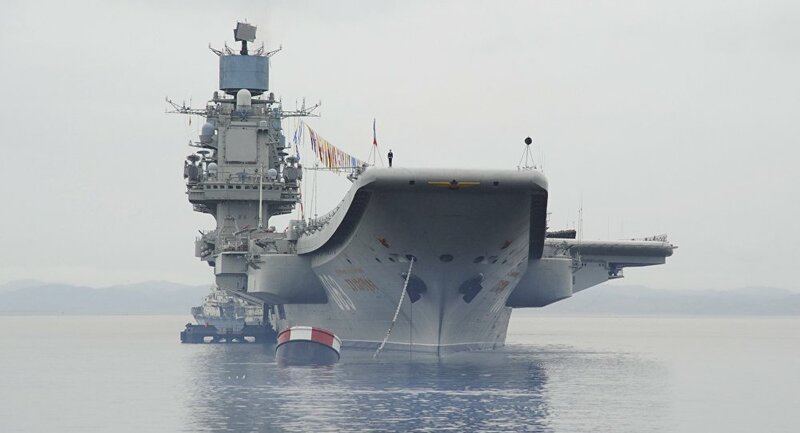 The group, which includes Russia's 'Admiral Kuznetsov' aircraft carrier, 'Pyotr Veliky' nuclear power guided missile cruiser and two destroyers, has completed its transfer to the Mediterranean Sea and is getting ready to strike, the MoD source said. "The group's main goal is to carry out missile strikes on terrorists outside of Aleppo that are attempting to get into the city", the source added. He also said that Kalibr cruise missiles will be used in the strikes, but did not specify from which ships the missiles will be launched. No Russian surface ship that is currently in the Med is capable of firing the Kalibr-NK missiles, but submarine-launched Kalibr-PL could be used in the strike. The surface-launched type of Kalibr missile could also be launched from the Caspian Sea. ​Right now final details of the strike are being worked out, the source told Gazeta.ru, including zeroing in on the terrorists' locations, finding out the details of their transport routes, base camps and storage and training facilities. "The strikes will avoid the city of Aleppo to prevent civilian casualties, because terrorists continue to use city residents as human shields." Russian and Syrian fighter jets have ceased all flights in a ten-kilometer radius around Aleppo on October 18, after which Daesh terrorists began advancing on Aleppo. On October 28th, a group of militants attempted to breach the eastern part of the city, using tanks and infantry fighting vehicles for support. Syria’s Aleppo has been the scene of fierce battles between Syria’s army and militants holding the city's eastern districts. Fighting has escalated in recent days since militants announced an offensive and fired missiles on government-held districts of western Aleppo. Russia introduced an earlier humanitarian pause in October, to ensure the safe evacuation of civilians and unarmed militants from eastern Aleppo through designated corridors. That pause collapsed when Jabhat Fatah al Sham (also known as Nusra Front, or Jabhat al-Nusra) militants prevented civilians from fleeing Aleppo and attacked them, prompting an offensive by government forces.